English sentences are made up of words. Each word, in turn, is a part of speech. 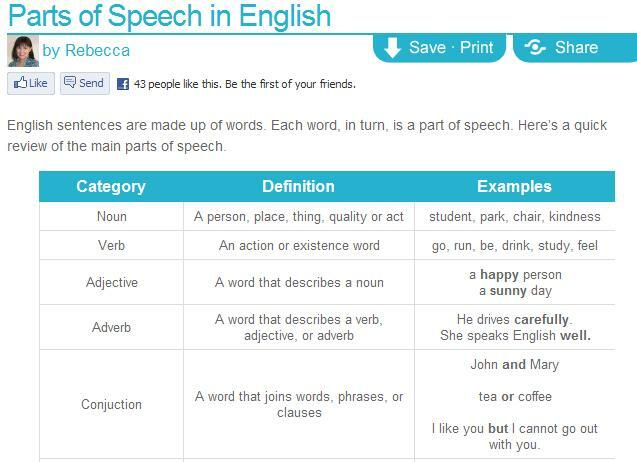 Here’s a quick review of the main parts of speech.